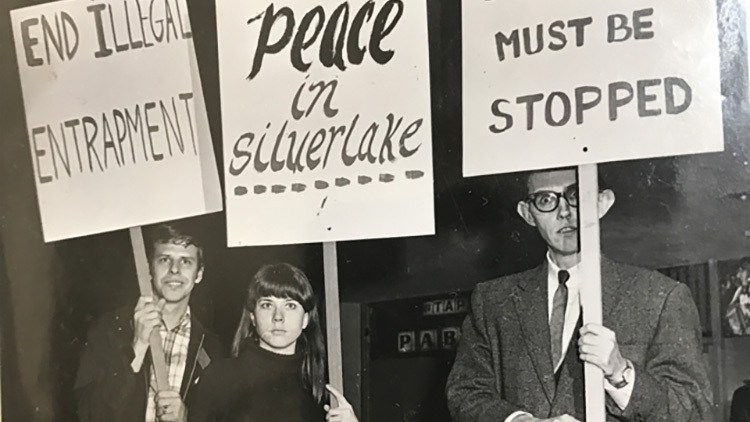 A Long Road to Freedom: The Advocate Celebrates 50 Years shows the modern LGBTQ rights movement through the lens of its leaders. It's been a long road, but The Advocate is finally going to the Daytime Emmys. Here TV's A Long Road to Freedom: The Advocate Celebrates 50 Years has been nominated in the category of Outstanding Special Class Special by the Daytime Emmy Awards. Directed by Billy Clift (Hush Up Sweet Charlotte), the documentary spans the modern LGBTQ rights movement from the Black Cat Riots in Los Angeles — which sparked the founding of The Advocate magazine — to the present-day fight for transgender rights. The film, narrated by trans icon Laverne Cox, includes interviews with Gloria Allred, Cleve Jones, Greg Louganis, Bob Greenblatt, Caitlyn Jenner, Don Lemon, Gavin Newsom, Margaret Cho, Armistead Maupin, and DeRay Mckesson on how the most prominent national LGBTQ magazine covered watershed moments in the fight for equality. Additional producers of the documentary include John Mongiardo, Stephen P. Jarchow, Paul Colichman, Christopher Donaldson, Malachy Wienges, Billy Clift, and Nancy G. Cohen. Here TV — formerly the film and television arm of The Advocate prior to the magazine's 2017 acquisition by Pride Media — is a streaming service for LGBTQ viewers. The Advocate's category competitors at the Daytime Emmy Awards include Light in the Water (Logo TV), the 92nd Annual Macy’s Thanksgiving Day Parade (NBC), Quiet Heroes (Logo TV), and Super Soul Sunday: Oprah’s Book Club: Freedom After 30 Years on Death Row (OWN). Watch the trailer below, and don't miss the 46th annual Daytime Emmy Awards, presented by the National Academy of Television Arts & Sciences, on May 5.